Kitting Services for Industrial Parts Available from ELO Engineering, Inc.
ELO Engineering, Inc. is an experienced sheet metal fabricator offering kitting services to help our customers simplify their supply chains. Ourmetal fabrication shop offers turnkey parts solutions to businesses in a wide range of industries and we strive to save our customers time and money throughout every step of component production. ELO’s kitting services are an ideal way to ensure your staff or customers have everything they need to complete their tasks quickly and efficiently. Our team is trained in and utilizes a variety of production and demand management principles, including lean, kanban, JIT and dock-to-stock, so you can rest assured we’ll be able to have your kitted components delivered on time and on budget. ELO is also an affiliate of Demmer Corporation – one of the nation’s largest vertically integrated aerospace and defense manufacturers – and through this connection we have access to many of the best experts and production equipment in the industry. 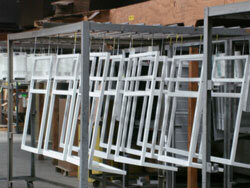 Our ties to Demmer also allows us to effectively manage a wide range of component finishing services, in addition to the kitting, liquid painting, metal powder coating, industrial screen printing and others we offer in house. However, all of these other services are of little value if your products aren’t built to print, which is why we’ve worked hard to achieve and maintain our ISO 9001:2008 certification and compliance with AS9102. We’ve also invested millions in modern production equipment and staff training to ensure we’re capable of precision sheet metal forming and fabrication to tolerances of ±0.010. For more information on our kitting services or any of our other manufacturing capabilities, contact ELO Engineering, Inc. today.